The Huawei Mate 20 Lite launched ahead of the pack – ahead of the premium Mate 20 models and ahead of its Chinese version, the Maimang 7. Well, that last one is now a reality as Huawei unveiled its price and launch dates. 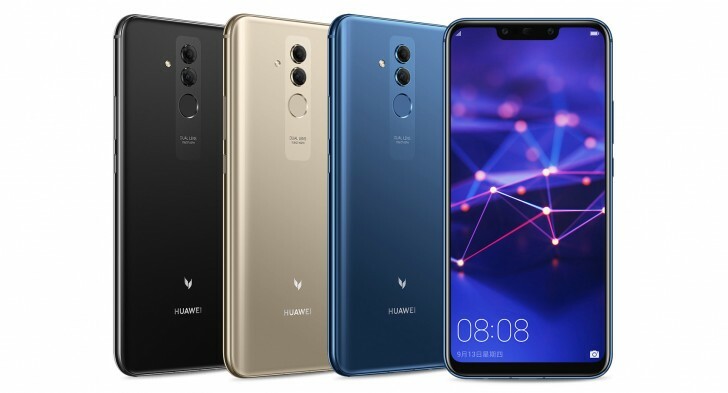 The Huawei Maimang 7 will cost CNY 2,400 ($350/€300) and will come with 6GB of RAM and 64GB storage (there’s no 4GB RAM option like the Mate model has). Platinum Gold, Charm Blue and Bright Black colors are available. You can register for a unit today, a process that started at 11:08 local time. The actual sales start on September 15 (this Saturday) at 10:08. Note that registering will net you a free car charger (18W) and an extra USB-C cable. The specs of the Maimang 7 are pretty much identical to the Mate 20 Lite, so you can check out our hands-on review for a closer look.